The matches found in the builder output using the filters are marked on the source code. They are visible in the editors, Problems View etc. 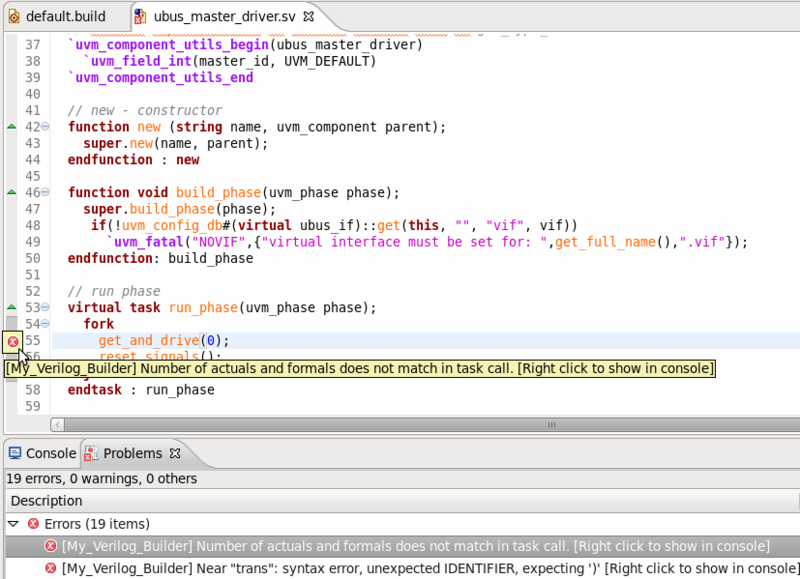 You can right-click on a marker to jump to the Console output of the external builder to investigate the error/warning.